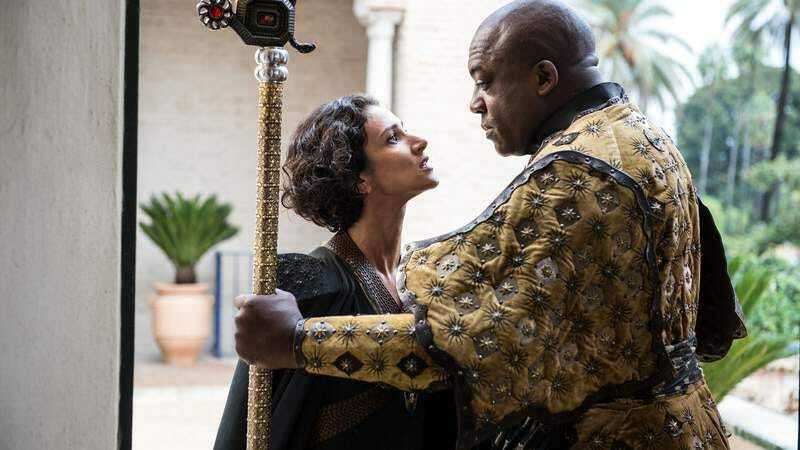 Building on the momentum of his relatively silent character (thus far, anyway) on Game Of Thrones, English actor DeObia Oparei has signed on to play the Oxford-educated son of an African warlord in Independence Day 2. Deadline reports that the character’s name is Dikembe, and Oparei will join a cast that already returns Bill Pullman, Judd Hirsch, Jeff Goldblum, and Vivica A. Fox, among others. So far on season five of Game Of Thrones, Oparei’s Areo Hotah has appeared only to hold a battle ax, stand in front of Doran Martell, and generally look menacing, but maybe he’ll crack a smile when best buds Jaime Lannister and Bronn show up looking for a fight. As for Independence Day 2, details on the plot are scarce, so it’s unclear how substantial Oparei’s character will be. The film won’t hit theaters until June 24, 2016, so in the interim we’ll just have to keep living off of Anna Kendrick’s opinions on its casting choices.